The Dominican Republic makes up half of an island, with the other half belonging to Haiti. The high-grown Dominican coffees have a higher acidity than the lower grown coffees, which tend to be softer. Considered a Caribbean coffee along with Jamaican coffee and Puerto Rican coffee, Dominican Republic coffee is in fact the least distinguished of the three though a good high-grown Dominican coffee with proper processing is well-balanced and exhibits classic Caribbean coffee tasting characteristics. The Dominican Republic’s government has established seven distinct growing areas in the country including: Cibao, Barahona, Noroeste, Neyba, Sierra Sur, Sierra Occidental, and Sierra Central. A variety of microclimates are found throughout these coffee growing regions resulting in an array of coffee bean types with a variety of aromatic and taste profiles. Note: The original growing regions designated decades ago included: Barahona, Juncalito, Ocoa, Cibao, Azua, and Bani. The Dominican Republic has a fairly regulated coffee trade, and deals with green coffee importers and brokers to get coffee into the United States and Canada for sale. 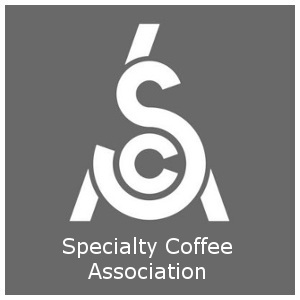 Brokers supply coffee roasters who ultimately sell to the consumers and retailers through their own retail channels. The high-grown Barahona, which is widely considered to be the finest of the Dominican Republic’s gourmet coffees, is notable for its rich flavor with high acidity. Barahona coffee is considered similar to the best Jamaica coffees. A mellower, softer taste is produced by the Dominican Republic’s Bani and Ocoa coffees, which are often compared to coffees from Haiti. Cibao coffee in general is known for its full body, sweet and nutty flavor, low acidity and is a high quality coffee yet generally undistinguished. Cibao Altura coffee, however, which is grown at higher elevations, is one of the country’s better specialty coffees. With a climate unlike anywhere else in the Americas, the Dominican Republic gets rain all year around, with no one distinct rainy season. The Dominican Republic’s long coffee growing season is extended by the warm and gentle tradewinds and ocean currents which together with the moderate climate allow the coffee cherry (fruit) to ripen very slowly on the coffee plants producing a high quality coffee bean. Since there are a variety of high altitude growing areas in the Dominican Republic, the coffee plants flower at various times and thus the country is able to produce high quality coffee crops all throughout the year. The premium coffee beans are grown at 3,500 feet above sea level and higher on the terraced mountain slopes. The predominant harvesting season is October through June. The farmers repeatedly return to the fields to hand-pick only the ripest coffee cherry throughout the harvest season. The best Dominican Republic coffees are hand-picked on farms and then sun-dried in bulk on large patios. Most of the coffee farms in the Dominican Republic are less than eight acres in size, and much of the coffee is organically grown and also shade-grown beneath native pine trees, guava trees, and macadamia nut trees. In recent years many Dominican Republic coffee farms have obtained international organic certification. Due to the high quality of the Dominican’s coffee beans, and their positive coffee reviews with interesting tasting notes, they tend to sell for a premium price and are rarely used in blends. Brands bold enough to bring it in will typically sell it as a special, limited-quantity single origin coffee. You’ll want to be sure to buy it fresh roasted and grind just before brewing due to the fact that coffee loses flavor within weeks of being roasted. For detailed definitions of coffee terminology see the Coffee Terms. 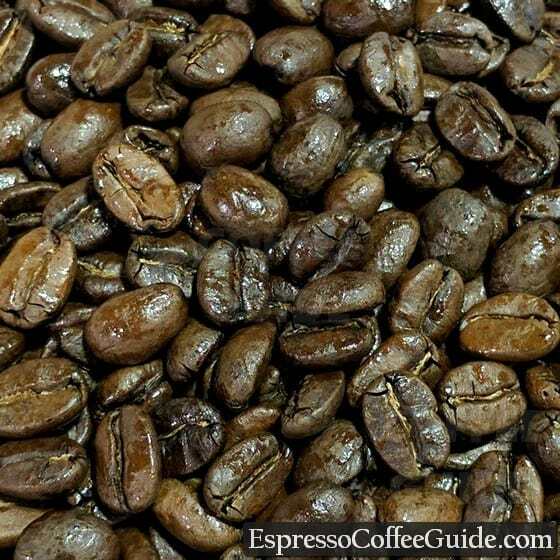 Also see the comprehensive history of the coffee bean in the World’s Best History of Coffee. Sounds like a lot? It's actually 0.3% of the coffee grown worldwide.